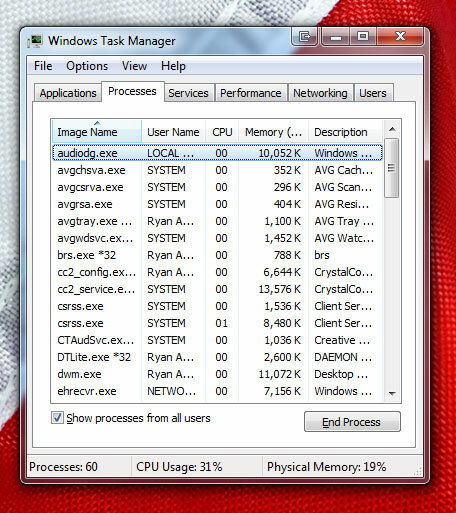 then Task Manager is running in tiny footprint mode. To get back to the regular view, double-click on the boarder of the Window (for example, in the tan/gray/blue area just to the right of the scroll bar). The ability for tiny footprint mode as introduced in Windows NT/2000 and is still there in Windows 7. 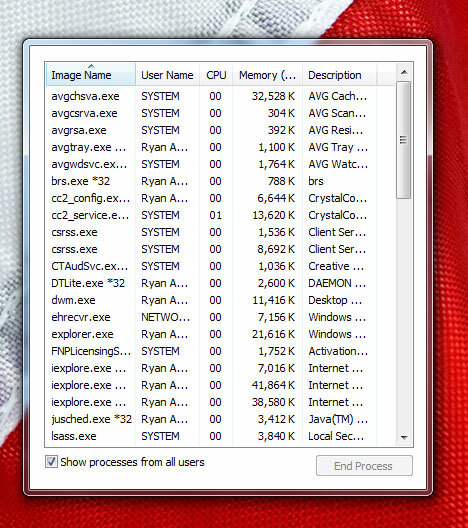 Another tip: Use ctrl-shift-esc to go directly to the Task Manager.